The POS market is crowded. With over 170 players in the space, it’s difficult for merchants to navigate the field and differentiate solutions. And while basic research such as visiting company websites or reading reviews can give you insights into product features and customer experience, there is one defining POS distinction that merchants often don’t take into consideration. We’re referring to the difference between “retail management POS solutions” and “payment-centric” POS systems. Retail management solutions put a lot of emphasis on the operational side of a business, and provide deep functionality that enables merchants to fully manage their business with software rather than spreadsheets. Payments-type POS solutions focus on payment processing. While solutions that fall under the payments category can also provide operational features, their capabilities aren’t as advanced as those offered by retail management POS systems. As a merchant shopping around for a point of sale system, knowing the difference between these two breeds of solutions early on will save you a lot of time and help you figure out which system is right for your business. Each POS type brings something different to the table, and depending on the type of business you’re running, they can have varying impacts on your costs and operations. In this post, we’ll spell out the differences between retail management and payments-type POS solutions. We’ll shed light on what they offer in terms of payments, features and costs, and we’ll discuss the kinds of businesses best-suited for each breed of POS. Payment-centric POS systems are provided by companies that are primarily in the business of—you guessed it—payments. These companies offer POS solutions as an additional or complementary product, but POS isn’t their bread and butter—payment processing is. Industry players that fall under this category include PayPal and Square. Merchants who opt of for payment-centric POS systems will have to process payments through the same solution provider. So if, for example, you decide to use Square as your point of sale, then they will serve as your payment processor by default, which means you’ll have to go by the company’s terms and use their own card reader. This simplifies things for merchants, because instead of having to deal with two separate parties for payment processing, everything is done under one roof. Most retail management POS systems on the other hand, handle the payment side of things a little differently. Unlike their “payment-first” counterparts, not all retail management POS companies process transactions. Instead, they integrate with third party payment processors and allow merchants to select one for their business, enabling them to shop around for better rates or terms, and go with a payment company of their choice. POS companies that focus on retail management rather than payments typically have more advanced capabilities in, such as inventory management, loyalty, CRM, and reporting. 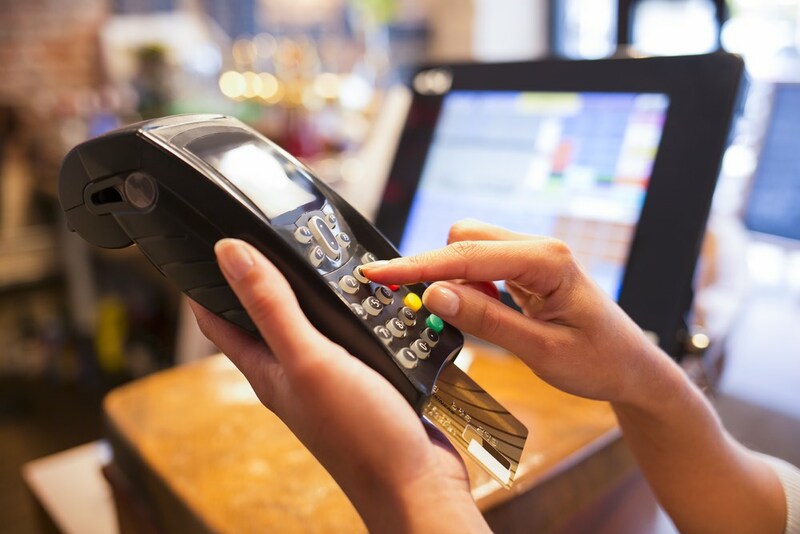 Certain payment-centric POS systems do offer some of these features, though they’re often not as rich as the ones provided by retail management POS companies. PayPal Here, for instance, functions as a solid register that enables merchants to accept various payments, but doesn’t have the inventory or CRM features that let businesses better understand their products and customers. Or consider Square Register, another payment-first POS. While the solution does have retail management capabilities such as inventory, analytics, and customer management, most of its features are considered very basic, especially for medium to large retailers. For example, while Square Register allows merchants to track inventory, it lacks the advanced and intuitive capabilities that let retailers conduct easy inventory counts (a tedious, but routine task for many stores) or manage stock across multiple locations. Compare that to POS systems such as Vend, which focus on retail management and operations. These solutions equip merchants with more tools to help them run their businesses. Top retail management POS solutions come with powerful capabilities such as advanced inventory management and multi-outlet features, which enable retailers to stay on top of multiple stores and hundreds (or even thousands) of products. Most of these solutions also have “omnichannel” capabilities such as ecommerce and click-and-collect, allowing merchants to sell and serve customers across physical and digital channels. Cost-wise, payment-centric POS systems are usually less expensive, especially for merchants who aren’t running a lot of transactions. This is because unlike retail management POS solutions, these companies don’t charge for the software; instead, they make money by taking a cut from each transaction the merchant completes. Retail management POS solutions on the other hand, charge subscription fees, which means that merchants have pay for their subscription and payment processor. That said, if you are running numerous transactions then you’ll have to do the math and calculate how much you’ll pay in fees. If your transaction fees are too high with a payment-centric POS, it may be worth to switch to a solution that will allow you to choose a payment processor that offers better rates and terms. It’s important to note that the conversation about payments and retail management POS systems doesn’t always have to be an “either/or” scenario. In certain cases, merchants can actually have both. PayPal Here for example, integrates with other business management systems such as Vend, Revel, and Booker. This gives merchants the advanced capabilities they need, while still keeping PayPal as their payment processor. However, if you sell numerous products and operate (or have plans to operate) several locations, then you should set your sights on retail management POS systems that can handle the complexities of your business. Be sure to look for features such as inventory counts and transfers, as well as multi-store management, as these are crucial for running a large retail operation. Any retailer who’s in the market for a point of sale system has to differentiate retail management from payment POS solutions before they do further research or start testing programs. Doing so will make their search for a POS system immensely easier. For instance, if you need a POS system for your multi-outlet retail business, you wouldn’t want to waste time considering payment-centric solutions that only offer basic functionalities. But if your business just needs software for ringing up sales (and nothing more) then you probably don’t have to get a comprehensive retail management system and end up paying for features you don’t need. The bottom line is, bringing up the distinction between payments and retail management programs is essential in any discussion around point of sale systems. To refer to these two breeds of software as the same thing (i.e. simply using “POS” to describe both) is misleading and can result in lot of wasted time and effort—especially on the part of retailers looking for the right software for their stores.